Valentine’s Day is just around the corner, and lovers of Bingo will have no problem finding the attention that they desire nor the potential winnings that they crave. Bingo MagiX is spreading the love this February by releasing all-new, love-themed games to players of all skill levels. Every day of the month and at specific hours of the day, players can expect to find games that they will love that are giving Valentine’s Day gifts that are unlike any others. Big money will be up fro grabs, and Cupid is eager to start distributing winnings to all the players who make their way to Bingo MagiX. The goods that are coming the way of players are topped off with potential cash prizes that extend up to 2,500 pounds. There are also special bonus rounds that are designed to allow players to take home unique gifts of their choice on top of the ability to gain a redeposit bonus that extends up to 450 percent. All that players need to do to get on the Valentine’s Day option is simple make a minimum deposit of 10 pounds. Bingo MagiX partners with Cozy Games as they release these new games for Bingo lovers. This partnership is allowing developers to come up with three different types of jackpots on which players can get their hands. The winnings come in the form of Coveralls, Jumping Pots, and Fixed Pots. Fixed pots allows players to take home up to 100 pounds in winnings, Jumping Pots offer players up to 500 pounds, and Coveralls offer the greatest amount of cash with a potential jackpot of 2,500 pounds. Also in honor of Valentine’s Day, the site is presenting a limited-time Heart-Shaped Pattern game. Players solve the heart patterns on various types of Bingo tickets in order to take away their share of prizes. The players that rack up the most puzzles each week considerably increase their winnings as well. An exclusive prize is also offered each and every week to player. 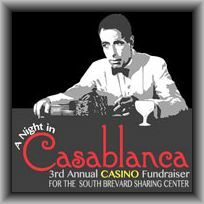 Such prizes include dinner vouchers, Amazon gift cards, and cash giveaways. All of the prizes can help people to create the perfect Valentine’s Day celebration. 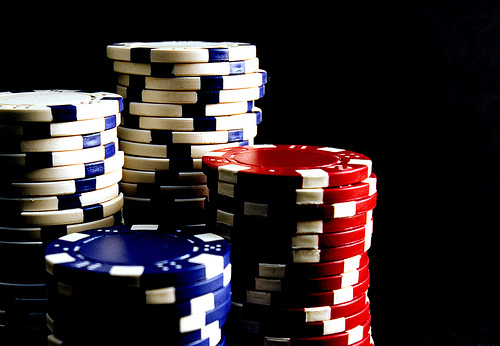 In July 2013, Full Tilt Poker becomes Full Tilt Gaming as it expands its repertoire beyond just poker. Launched in June 2004, Full Tilt Poker (FTP) has been an online poker room that has experienced great success. That success has included a large player pool, high traffic volumes and association with poker pros like Phil Ivey and Howard Lederer. Business wasn’t always smooth sailing for FTP. In fact, in 2011, it was one of several poker websites to have its assets seized by the U.S. Federal Bureau of Investigations (FBI). The U.S. government levied indictments against the site’s owners and employees, and the company was on the verge of going out of business. A settlement with the government in June 2012, however, prevented that and even paved the way for the company to expand its repertoire. The main website remains titled Full Tilt Poker and is available at fulltiltpoker.com, but now, players will notice a new section of the site, a casino. In addition to poker, Full Tilt now offers blackjack and roulette as well as multi-player experiences for both games. Full Tilt Gaming is expected to add a series of slot machines soon as well, including pub slots, video slots and micro slots. Blackjack is Full Tilt’s most important non-poker offering. It’s available in four formats: Atlantic City, European, Double Deck and Micro Limit. All four formats are available at both single-player and multi-player tables. There’s also a free-to-play version of the game, and players can hop between poker and blackjack or even play both games at the same time. For roulette, Full Tilt currently only uses single-zero wheels. Sometimes called a European wheel, this means that the wheel has 37 pockets numbered zero to 36. Each roulette table has a broad range of betting limits that caters to both low and high rollers, and players can opt to play at a private table or mix it up on a public table. Poker and casino games haven’t always mixed well online, but this is certainly an exception. Poker is still the featured product at Full Tilt Gaming, but now players can enjoy a change of pace using a single account and a single desktop client. The South of the Las Vegas Strip is slated for some serious changes in the near future. One of the biggest names among the new retailers making a splash in the area is Tropicana Las Vegas. They are moving forward on plans for a retail project whose price tag will reach multi-million dollar figures. Although the project will not be breaking ground until nearly a year from now, Tropicana’s CEO is extremely confident and excited about the project’s prospects. The property on which the changes are to take place is historic in the area. It has undergone regular transformations, and the new business coming to the location plans to build on this heritage. Prior to the release of these plans, the company had already invested a substantial amount of money on interior renovations. After four years of making improvements in this capacity, Tropicana is turning their sights to the property’s exterior. The hotel and casino has 1,467 rooms to accommodate the new patrons to be intrigued by the complete, exterior makeover. The frontage of the building will be completely transformed to include two levels that will encompass a complete shopping center. Within this complex will be a food court, individual restaurants, and 165,000 square feet of retail space. The only real reservations that the company faces with the renovation of the two-story building is the fact that it entails removing the Tiffany glass installments that have been in place over the game pits for decades. Although Tropicana has faced difficulties with turning profits during the past periods of recession, this investment is being characterized as a valuable tool for helping them get back into the black in the very near future. The profits have been raising steadily, moving from losses of $9.7 million to $5.9 in just one year. The actual property is a developer’s dream, according to Tropicana’s CEO, citing the ideal location. Tropicana has also alluded to future plans for a Hooters Hotel and adjacent parking garages. The property has been in place since 1957, and the new renovations promise that it will continue to thrive well into the future. As Internet gaming moves ahead with staggering speed, new technology and new systems dedicated to efficiency and oversight have had to maintain a lightening pace as well. GeoComply Limited is one company that is making major contributions to the technological field in this capacity, the latest of which is a geo-location solution that is being embraced by many gaming organization throughout the globe. The proprietary release has passed all tests brought its way with flying colors thus far. 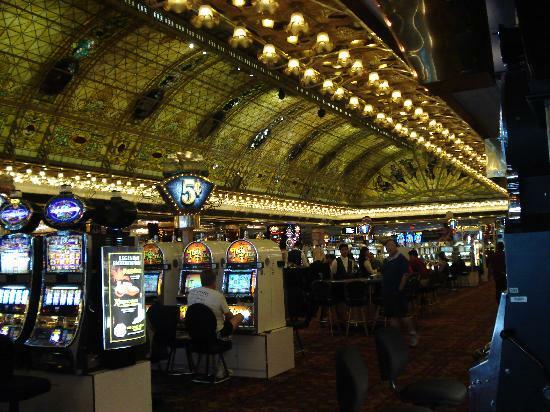 It has also received the approval of the New Jersey Division of Gaming Enforcement, allowing it to become an integral part of the gaming market that is booming in this state. The new technology is being hailed as an integral tool for evaluating how prepared an individual operator actually is before entering this new and highly-regulated marketplace for gaming. Jurisdictions in this area are stringent and the legal regulations are undergoing regular changes, making a tool such as this one that is completely necessary as the industry moves into the future. The software itself is setting the standard for programs designed for these applications, ones that are coming in ever greater demand. Prior systems related to geo-location applications have failed to deliver the accuracy, reliably, and integrity that the software developed by GeoComply Limited has brought to the table. They are helping to create a more stable gaming environment that is more secure and allowing gaming organizations to have more confidence in their abilities to comply with gaming regulations as the landscape continually shifts. The soft launch has been a real success for GeoComply Limited, allowing them five days to see exactly how their product would fair on the open market. Regulated markets around the world have also kept a close eye on the success of this technology in hopes of having a system to which they can turn when it comes to ensuring that regulations and Internet licensing requirements for online gaming are followed very closely. Although this technology represents the pinnacle for this type of software to date, there is little doubt that further advances are just around the corner. By honoring Maple Casino with this award, Casino Jones has delivered on its promise to “take you to the very best of Canada’s online casino industry,” as Maple Casino has taken the Canadian online casino industry to the next level. Maple Casino’s vast array of innovative security features, unique casino bonuses, and customer support availability are unmatched and have the other Canadian online casinos scrambling to keep pace. Maple Casino continues to build upon their reputation for providing one of the safest, most secure online casino experiences in all of Canada with high-powered security features, such as their 128-bit Secure Socket Layer (SSL) encryption to protect against intrusions. 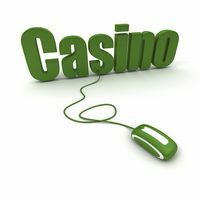 This ensures that their gamers’ money will always be deposited safely, “so what’s yours stay yours.” All of their software is designed by Microgaming, one of the most secure software development companies in online gaming. With their unique casino bonuses, Maple Casino makes sure that their gamers have an unparalleled casino experience. One of their standout bonuses is their Freeplay Casino Bonus. With this feature, Maple Casino allows gamers to play with $3000 in real cash for up to an hour without investing any of their own money. When the hour is up, gamers get to keep all of their winnings, no matter how many times they have multiplied the initial $3,000. All online casinos offer some form of customer support, but Maple Casino has taken theirs to the next level: they have a toll-free customer service hotline, email customer support in seven languages, and an instant chat service that connects you directly with a customer support representative. All of their customer support options are available 24/7. You can chose between playing from home or using Maple on the go. The Maple Mobile Casino offers the same, great service and impressive bonuses. With this new award highlighting their hot streak of progressive online casino innovation, Maple Casino is promising to deliver even more exceptional services for its gamers in the future. Canada has 15 native-owned casinos. They operate under several different models. Ontario has a centralized system in which tribal members share the revenue generated at the Orilla, Ontario Casino Rama facilities. Saskatchewan has several native-owned casinos. All the casinos except for those in British Clumbia feature some form of revenue partnership, according to Yale Belanger ,an University of Lethbridge professor of native studies who has studies Canadian native gaming. Debt service and management fees eat up a lot of tribal gaming profits.Provincial governments also have been taxing the native gaming industry very heavily. Case in point, Alberta taking a 30 per cent chunk of native casino revenue. Belanger believes the tax burden should be decreased. 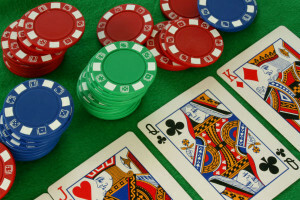 British Columbia native casinos are proposed by the British Columbia First Nations Gaming Initiative at large urban centers in Okanagan and the Lower Mainland. Initiative leaders are prepping to set up operations despite opposition and possible legal action by the provincial government. 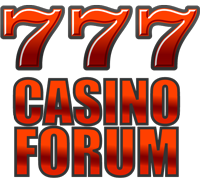 While Saskatchewan and Manitoba feature long-time native casino and online casino operations B.C. 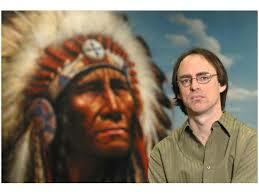 has not developed a comprehensive plan for first nation gaming. The St. Eugene Resort near Cranbook os the only native-owned casino in the province to date. Rich Coleman, B.C. minister overseeing gambling said the marketplace already was saturated with gaming operations. Elsewhere, the GEObet Tribal Gambling Network has proven a great success since its November 2012 launch. It is located in southern Alberta, Canada on the native grounds of the Tsuu T’ina Nation. They operate under the guidelines set by the Wapi-Maskawa iGamng Act. This applies to their online site northernbearcasino.com. The online site operates under regulatory rules set for online gambling in Malta, Curacao and Kahnawake, the Mohawk territory of Quebec. The Wapi-Maskwa iGaming Act has been successfully used by native tribes with casinos to keep them operating despite Canadian federal government attempts to reign them in. NorthernBear Casino CEO Bernie Shepherd said it was important for native tribes to operate online and casino gaming as part of their heritage. This was a significant statement due to the recent efforts to expand operations into Saskatchewan. GEObet CEO Gerry Gionet said their forefathers were traders for centuries with entrepreneurship in their DNA. This meant that historical data backed their efforts. Lacrosse was a betting sport setting the table for tribal gaming, he said. For those of you who missed it, our trusty friends at Casino Jones have released their pick of the best online casinos 2013. We eagerly await the release every year and it’s finally arrived. Click the video below to watch.